This past weekend was Memorial Day festivities. We usually have a huge party but with all the travel we've been doing, we decided not to this year. Carol is always at our parties. We usually sit long after everyone has gone and talk and laugh and share our thoughts. This year she had a party and I got to visit her and have fun at her house. I got a treat! 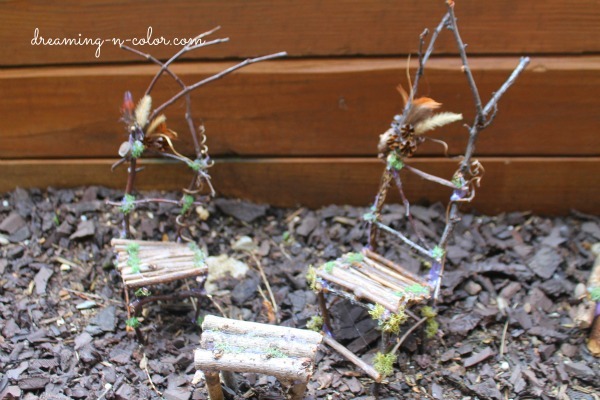 She made this adorable miniature fairy garden. I have made things for my garden before like this garden art, but never anything like this! 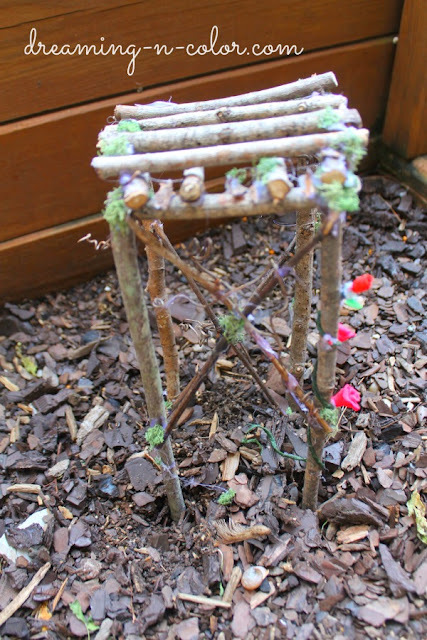 Every little twig carefully put together to form the furniture for the fairies. I canopy bed complete with mosquito netting. A place for old friends fairies to sit when weary and talk about the good ole days. I loved all the details like the clay flowers on the arbor. I enjoyed seeing another side of her. I knew she was creative but never seen anything like this. I really enjoyed our day together. Even read what I wrote in her yearbook. You know "Friends Forever" and all that stuff. Who knew back then that we would still be laughing and making memories? A good friend is hard to find! When you have one like that you put it in a special place and treasure it. That is just adorable. What talent and patience it takes to make miniatures like that. It was so fun to see. Thanks for sharing. Thanks Deneen, you are my cherished friend as well! And just for the record, my 8year old "little adopted daughter", Macy wrote "Welcome Fairys" on the house and mispelled fairies. I left it that way becaue I thought it was so cute and it will remind me of her every time I see it. adorable! emmy would totally love this, and i do, too! How cute! All that work! Yes, I remember those Barbie days well. I guess if we made Barbie stuff now they'd haul us away....we can get by with Fairy Gardens and still seem (sort of) normal! All you have to do is say the word "fairy" and I am in! They are so adorable. Isn't nice to sit back and enjoy the party sometimes and not be the hostess. 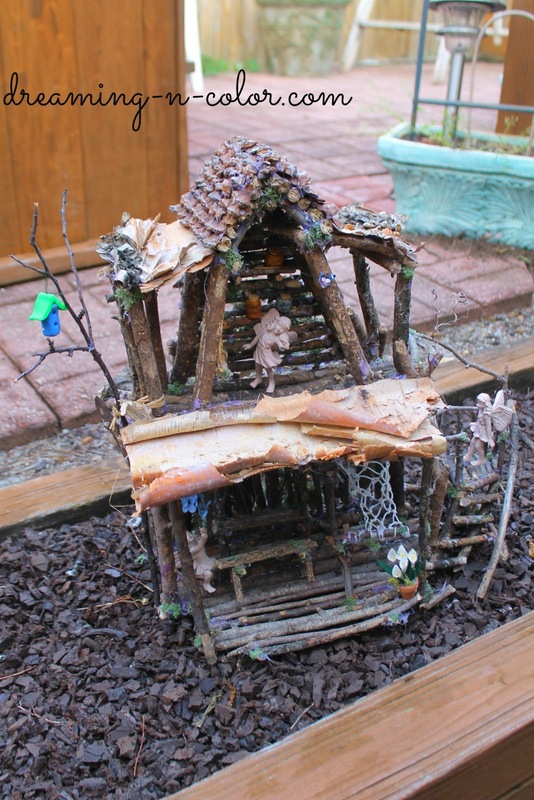 How incredible her Fairy Garden is, such detail and thinking, planning it took to make all that. It is really very special. 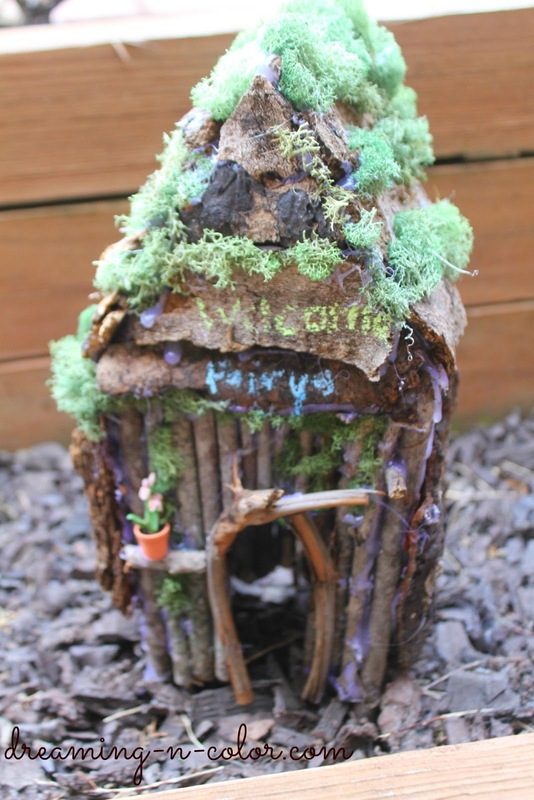 Usually on Mother's day our daughter makes a fairy garden with her girls. She puts them out in front of door in their flower bed, looks so sweet and welcoming to visitors. So glad your special friend made her Fairy garden. How gorgeous - I have to pin this for sure! What a sweet story and what a gorgeous job she did...Yep, us Carols are pretty nice people lol! I am just stunned at the care and detail that went into all of those projects! What a fun friend! WOW. The details are over the top with this gift. What a cool friend you have Miss Deneen. Haven't been reading the blogs in the last week. Been a tough one...but getting through. Gonna go catch up on the rest of the posts I missed. Would love to show our youngest daughter all the incredible furniture she made. For years now our daughter has been into fairies. 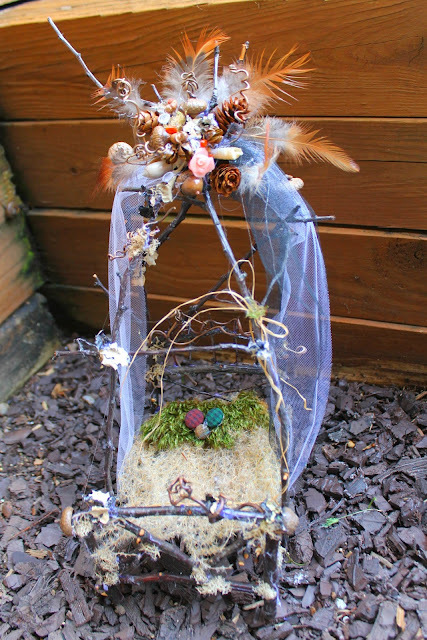 On Mothers day she and her girls make a fairy garden. Since her b/d is in April we try to be sure to get her something for her fairy garden. Joanns is great place to find wonderful fairy items. Recently they had some fairy furniture and huts so I bought couple things - but love them so much will get her more, am keeping what I got for Spring and my bird stuff vignette. 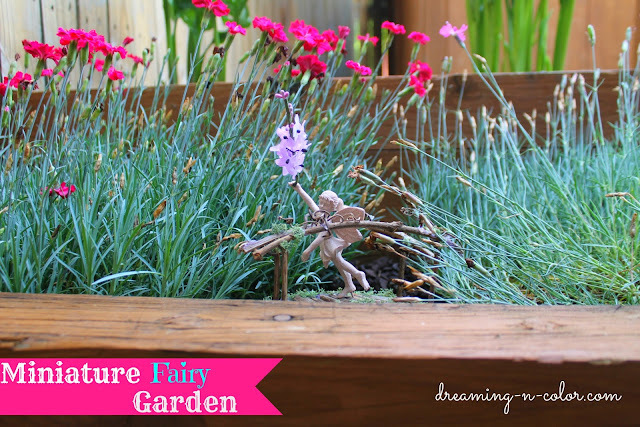 Fairy gardens are so much fun. Seems they're more popular than I thought. Hope our daughter loves what we get her, she'll be 47.Your friend is so magical. srppcrftr thanks for the comment and sharing your story.